Each week our campus is open for our church and community activities. Events vary weekly, so check out our calendar for this week's schedule. Sign up for our weekly email newsletter to get updates on HAB happenings. we update our sermon page weekly to keep you connected to God's word through the teachings of our pastors. Listen to our latest sermon here. Whether you grew up in a faith environment or are new to the "Church" experience, you are welcomed here. A casual but reverent setting, the 8:45 a.m. service provides a relaxed atmosphere with a praise and worship band helping to lead music. During this service our choir leads us in worship music accompanied by our pipe organ, Piano, and handbells. your family is invited to join us for worship. childcare is available for infants through kindergarten during both services. There are two main parking lots. 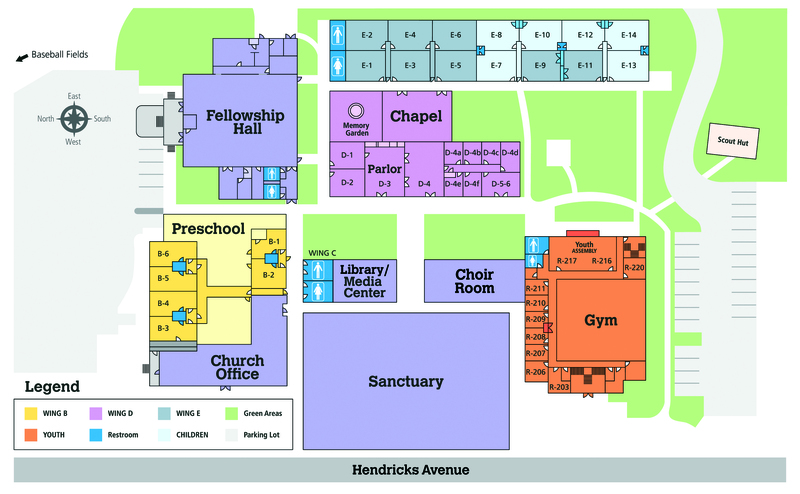 sanctuary is on the front of the campus, while the fellowship hall is located on the back of campus. In addition to maps and signage, please look for our greeters who will be happy to help you find out where to go.